Does your Plan Measure Up? Think about the last time you saw a beautifully-designed, modern kitchen, or when you last took a stroll through a brand-new model home. Perhaps you even lost yourself in a day dream for a minute or two, imaging sipping a glass of wine on the partially covered terrace at sunset. It may be easy to image cooking a meal in a luxurious kitchen, but it’s doubtful that the precise amount of space necessary to cook comfortably is something that often crosses your mind. Yet, details like this are the exact aspects that can make or break a design. So, what dimension details are necessary when creating an effective, useable and livable floorplan? And how can pCon.planner help you to achieve them? Regardless of the plan type, we’ve got you covered. 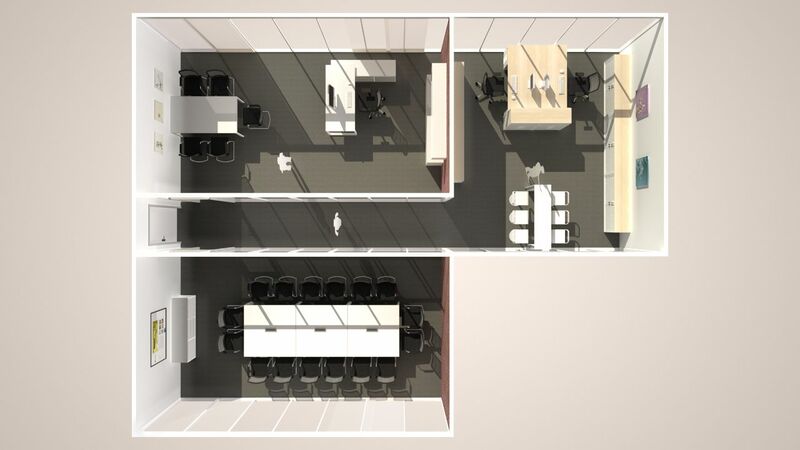 When designing any space, it’s important to put yourself in the shoes of the user. 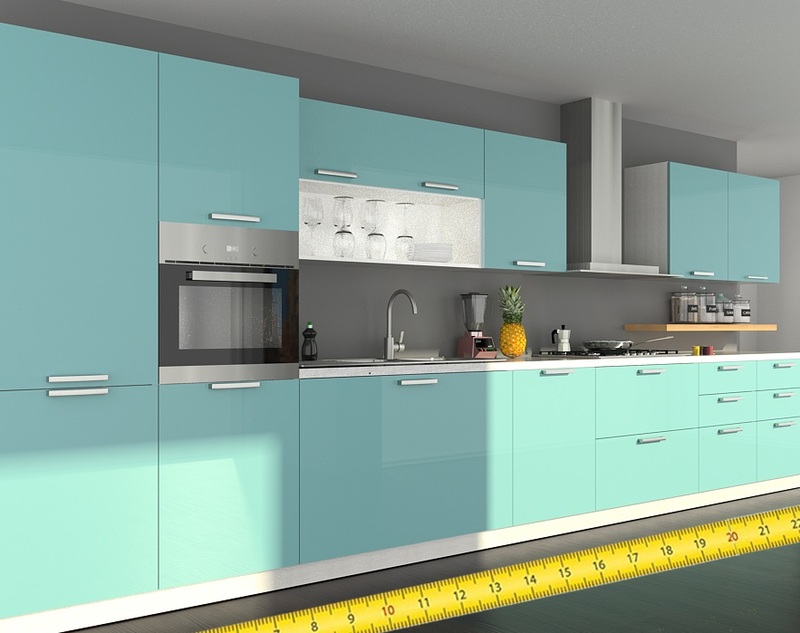 Would you feel good cooking in a kitchen that allows for just one meter between the island and stove top? Is it comfortable for guests if you’ve placed the dinner table just a few centimeters away from a swinging door? Or, how frustrated will you be when your favorite couch is simply too big for your living room? These are the factors that should be taken into account when deciding exactly where and how an object should be placed within your plan. In this case, the Tape Measure tool in pCon.planner can be your best friend. With this tool, you can measure the distance between any two points, without crowding your plan with displayed measurements. Instead, measurements are simply copied to the clipboard. Not only does this help you to see the distance between objects, or the distance between a start and an end point, but it also shows you distances along all the axes. This way, you can be sure that you won’t be hit with an opening door while you’re happily relaxing on the couch. Sure, comfort and practicality are great when it comes to creating your designs, but there’s something even more important… in this case, we’re talking about following the necessary regulations and standards of the particular industry you’re working with. From creating a home floorplan to designing the complete floor of an office building, there are always particular safety standards that must be met. Whether it’s ensuring the proper amount of space for an emergency exit, or guaranteeing that workers are provided with a certain amount of cubic meters each, dimensioning is essential. Not to worry, pCon.planner has several dimensioning options that are perfect for such an undertaking. In addition to the previously mentioned Tape Measure tool, which could help ensure proper distance between a worker’s desk and wall, for example, there are also options to measure your plan based on orientation, wall angles and rotated distances, as well as to easily adjust existing wall dimensions. Or, you can simply use the Dimension tool to show the length and width of walls, doorways and windows. All of these options are found in the Dimensioning group of the planner. Alright, you’ve ensured that you’ve met all safety standards, and you’re confident that you’ll be comfortable relaxing in your newly designed living room. So, what’s left? As we’ve said so many times before, presentation is key… even when you’re talking about something as technical as dimensioning. 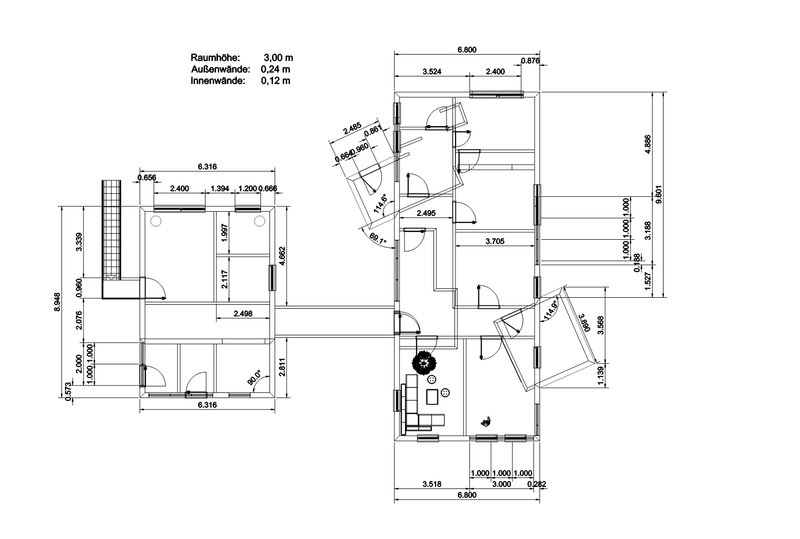 Not completely happy with how the provided dimensions look within your plan? pCon.planner has several options to help you create and customize a well-presented, organized plan. You can, for example, work with dimension styles to change everything from font style and size to the line styles used and the linear and angular precision of the dimensions. Perhaps dimensions for every wall, door and window are too much for your plan, and you’d prefer something simple. The Room Stamp is the perfect solution. Found within the Room Elements section of pCon.planner, the room stamp will automatically calculate the dimensions for a selected area or areas. You’re then provided with a customizable description and simple room dimensions. Now that you’ve got all of the necessary tools and tricks to present a perfectly dimensioned floorplan, it’s time to get designing! And if you get stuck, be sure to check out our Help Center for more detailed information on using the dimensioning tools. This entry was posted in Do you know?, General, Presenting, Room Planning. Bookmark the permalink.